An unexplored world. A bestselling novelist. Created and designed to provide unforgettable overseas adventures to travelers, John Shors Travel offers extraordinary, small-group tours to exotic destinations all over the world. Featured destinations include India, China, Japan, Cambodia, Thailand, Vietnam, the Galapagos Islands, and Eastern Europe. Though the tours offered by John Shors Travel feature small groups, incredible itineraries, four-star hotels, and award-winning restaurants, tour prices are typically below what other high-end tour providers charge. John Shors Travel brings travelers to remote and spectacular parts of the world that are best explored in small groups. Specializing in unique itineraries that highlight both the famous and hidden sights of each destination, John Shors Travel was born with one thought in mind—to bring adventurous travelers face-to-face with many of the world’s wonders. 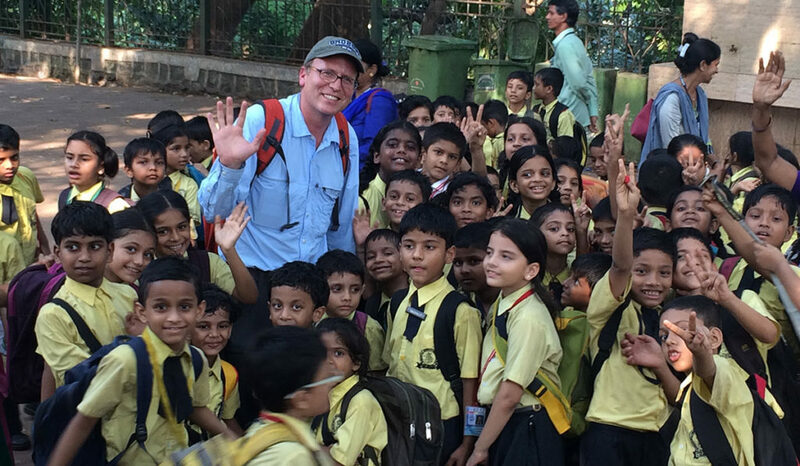 John Shors personally plans each itinerary and accompanies each group on its adventure. Although John is the lead guide on every adventure, local guides are always used in each destination. These individuals are typically licensed, and their knowledge and understanding of local customs and history adds to the richness of each trip. The guide-to-guest ratio at John Shors Travel is among the best in the travel industry. The philosophy at John Shors Travel is to provide guests with trips that are rich in cultural experiences. Trip itineraries include a wide range of activities, often ranging from exploring ancient temples to learning to cook local food to riding elephants. No day is ever the same. And no path is ever followed twice. An internationally bestselling novelist, John Shors has traveled to six continents and more than forty countries. Oftentimes these travels were done to research and promote his six novels, most of which are set in Asia. After spending more than two decades exploring some of the most beautiful places on Earth, John founded John Shors Travel in 2014. He has since led many groups of small travelers overseas, acting as a tour planner, guide, and storyteller. Guests of John Shors Travel enjoy wonderful local guides, excellent hotels, award-winning restaurants, and world-class itineraries. Schedule your travel experience today!